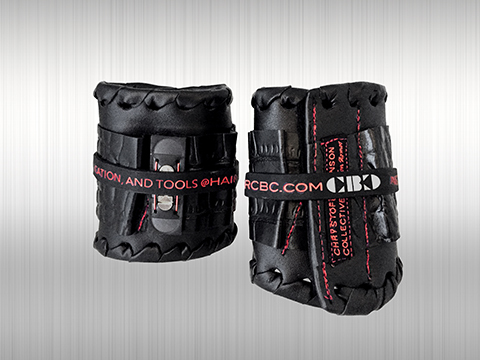 CBC Custom-made tool band that holds all of your tools! 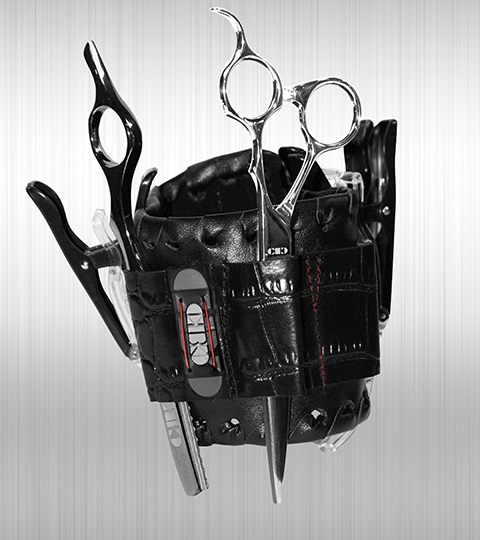 Slide your expensive shears securely into the pocket and can trust the strong magnets to hold them. 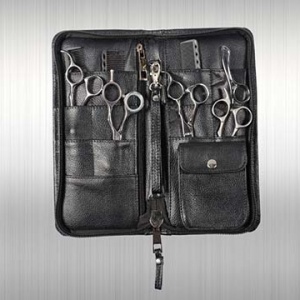 It has very strong magnets that have been tested for years to get the proper strength to hold shears and bobby pins securely in place. Additional sleeves hold clips and highlighting comb for easy access with the proper height and closure to make sliding tools in and out easy and secure. 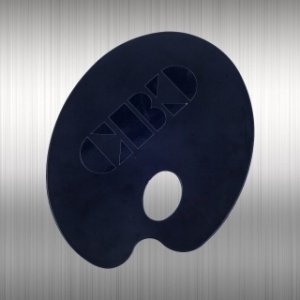 Has a Velcro closure which allows adjustable sizing and easy on / off. 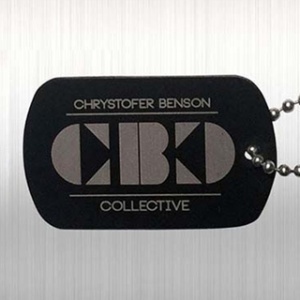 Available in Black Leather with Red stitching.